Photo via Catholic Relief Services Facebook page. Today we remember and honor the memory of our loved ones who have passed on, as well as for those who have passed on around the world. 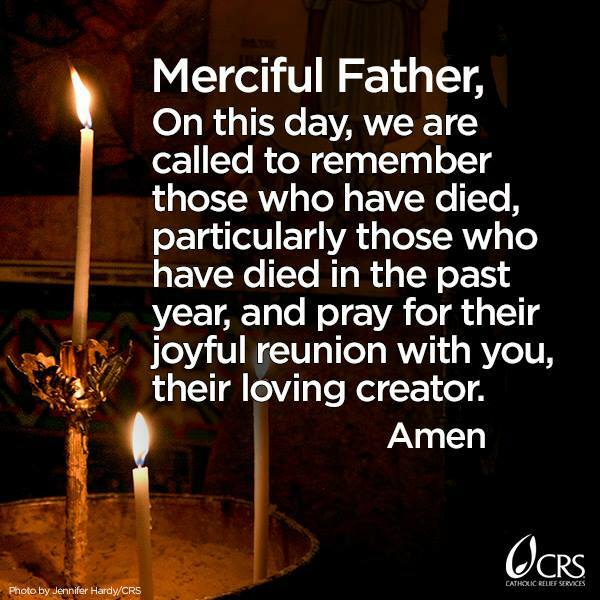 Click here to view the full prayer from Catholic Relief Services.